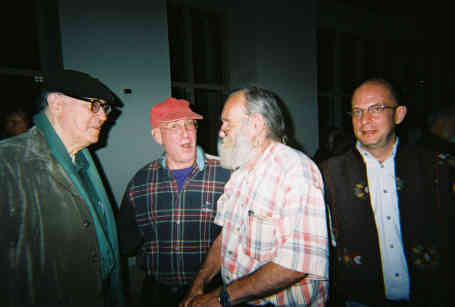 From left to right: Cid Corman, Ed Baker, Ted Enslin, Chuck Sandy, at the Lorine Niedecker 100th, November 2003, Milwaukee, Wisconsin. Photo by Ed Baker...well, taken with Ed's camera by John Martone. More photos here. And here are Cid's letters to Ed, the earliest dated 1972.